Monster Energy AFTERSHOCK made its triumphant return to Discovery Park in Sacramento, CA on October 22 & 23, celebrating its fifth year with a sold-out crowd of 50,000 over two days in California's capital city. With 35 bands on three stages, Monster Energy AFTERSHOCK's genre-spanning lineup was packed with rock and metal legends, newcomers, and rising stars. 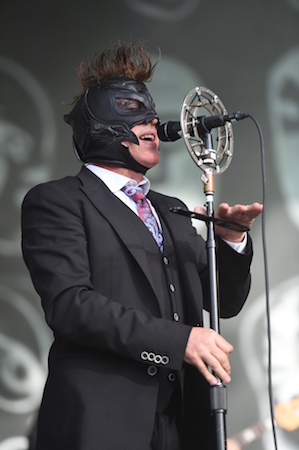 Fans were treated to a rare U.S. festival performance from Tool on Saturday, an electrifying festival-closing set from Avenged Sevenfold on Sunday, plus Slayer, Korn, Primus, Disturbed, Puscifer, Meshuggah, and many more. Monster Energy AFTERSHOCK showcased Sacramento's status as America's Farm-To-Fork Capital, offering free samples of locally grown fruit to festival attendees throughout the weekend, while those looking for more filling options chose from nearly two dozen food vendors including local favorites Drewski's Hot Rod Sandwiches, Xochimilco Mexican Restaurant and more. California's biggest rock festival also featured The Jack Daniel's Experience, The Music Experience, the Juxtapoz MAKE YOUR MARK interactive graffiti art installation presented by Hellrzzr and Montana, Keep Golf Metal and more to engage fans with all aspects of the rock and roll culture. 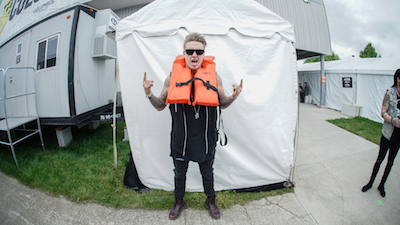 SiriusXM's Shannon Gunz interviewed AFTERSHOCK bands backstage for the festival's Facebook live stream throughout the weekend. Monster Energy AFTERSHOCK's economic impact to the region exceeds $10 million. 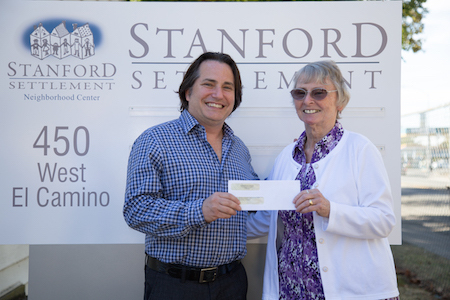 As part of its commitment to the Sacramento community, Monster Energy AFTERSHOCK made a $10,000 donation to Stanford Settlement in the Natomas area to support youth programs and other neighborhood services. In addition, festivalgoers contributed approximately $40,000 to charities including Take Me Home Animal Rescue and Fxck Cancer / Dyin 2 Live. AFTERSHOCK partnered with Sacramento Parks to create awareness about water safety via the "Life Looks Good On You" campaign. The Student Experience backstage tour gave music students from Scott Graham School of Music in Sacramento and ABC Music in Castro Valley, as well as local teen band URD-OM, an inside look at the workings of a music festival and opportunities in the music industry, including an inspirational talk about overcoming disabilities from Monster Energy AFTERSHOCK band The Mendenhall Experiment. 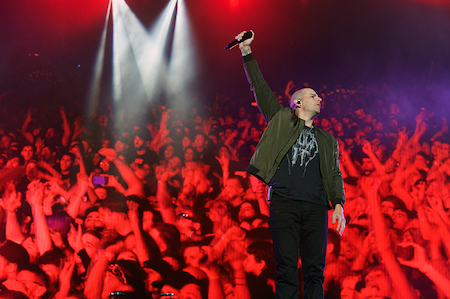 "By noon Saturday, more than half the sold-out crowd for Monster Energy AFTERSHOCK had arrived for a full afternoon and evening of headbanging, courtesy of such hard rock heavyweights as Tool, Slayer and Anthrax." 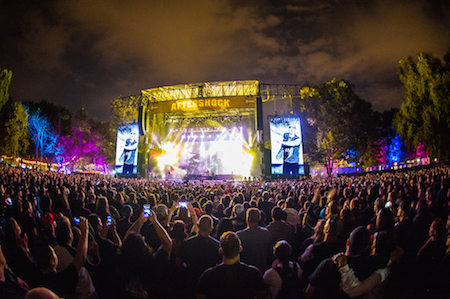 "In the heart of beautiful Sacramento, AFTERSHOCK brought the best bands and festival experience any rock fan could hope for." "Aftershock 2016 was amazing. Great location, lineup, organization, and even the weather couldn't have been better. The Juxtapoz MAKE YOUR MARK Graffiti Zone was a huge hit with festivalgoers lining up non-stop both days to take their shot as artists. It was great to get some local, more seasoned artists involved in the evenings and they couldn't have done a better job. Each artist really came through and collectively they demonstrated a high level of talent and a great range of styles that worked well together." "Aftershock is fast becoming one of the best rock festivals of the year…The main two stages told the history of heavy metal and Saturday was just a continuous onslaught of legendary acts: Anthrax, Meshuggah, Primus, Slayer, and then Tool. No other festival gives you that consistency of stellar performances, not to mention actually spacing them out so you can see either most or all of each band without missing anything else…Aftershock was able to straddle the line between respecting their elders and ringing in the new guard…"
Monster Energy AFTERSHOCK is produced by Danny Wimmer Presents, a producer of some of the biggest rock festivals in America, including Rock On The Range, Monster Energy Welcome To Rockville, Monster Energy Fort Rock, Monster Energy Carolina Rebellion, LOUDER THAN LIFE, Northern Invasion, Monster Energy Rock Allegiance, Chicago Open Air, Houston Open Air, and more. Sponsors for Monster Energy AFTERSHOCK included: Monster Energy, Jack Daniel's, Coors Light, The Music Experience, El Jimador Tequila, Keep Golf Metal, Sound Exchange, Thunder Valley Casino Resort, Fxck Cancer, Take Me Home, KHTK, 98Rock, California Finest, Dimple Records, Juxtapoz, SoHo Concessions and more. Since 1993, music industry veteran Danny Wimmer has been producing concerts and festivals, both large and small. In 2011, he formed Danny Wimmer Presents, which now produces several of the largest rock and alternative festivals in the U.S. By combining A-list talent with local cuisine and culture, DWP has become recognized within the industry for delivering the highest-quality entertainment experiences to fans, artists, sponsors, partners and host cities. DWP creates memorable and all-encompassing festival experiences, leaving both consumers and partners with lasting and meaningful impressions. 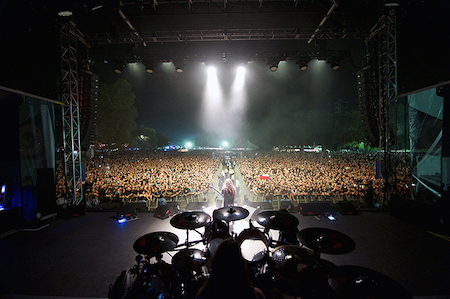 With 580,000 fans attending all DWP festivals in 2015, and 10 billion media impressions, DWP will continue to add new music festivals to its already stellar portfolio, which includes Rock On The Range, Monster Energy Aftershock Festival, Monster Energy Welcome To Rockville, Monster Energy Carolina Rebellion, Louder Than Life, and Monster Energy Rock Allegiance, among others.